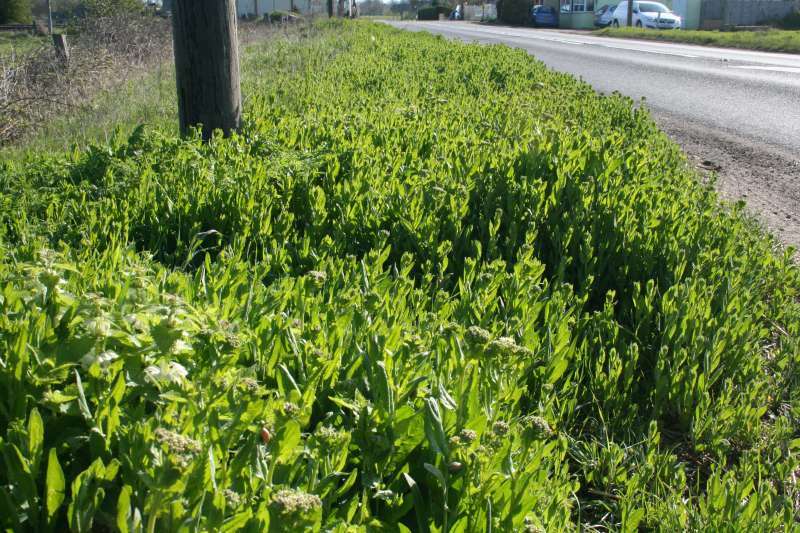 This is not an indigenous plant but is spreading quite rapidly along roadsides. 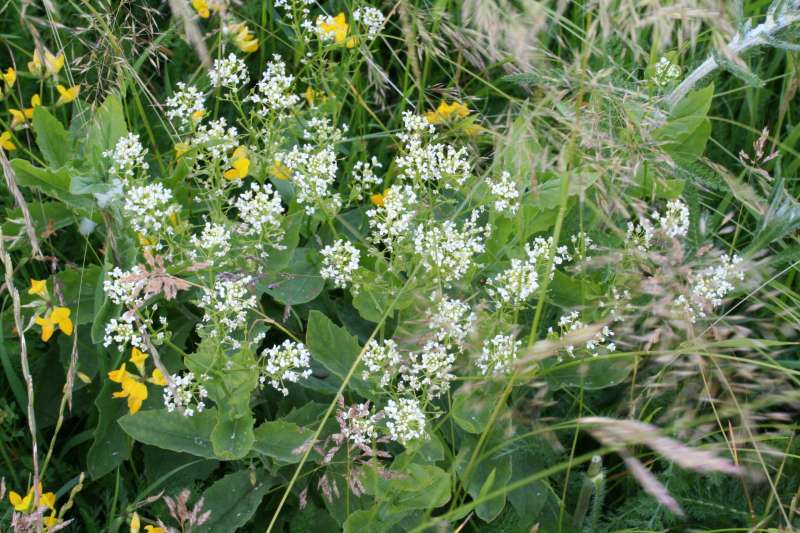 In June many roadside verges are a mass of white hoary cress in flower.See photo 4 where such a mass is about to flower. The taste is quite pleasant with a mild pepperyness which takes a little while to break through. 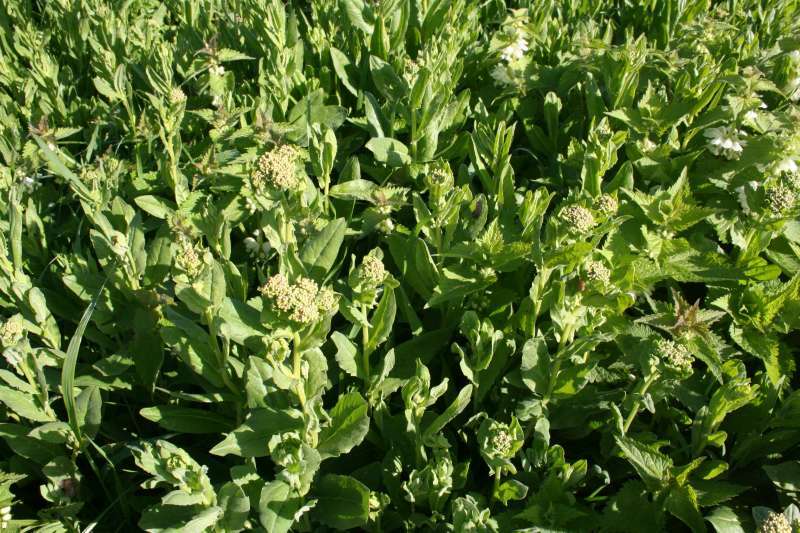 The texture is a little tough so only the very young leaves are worth considering for a salad. 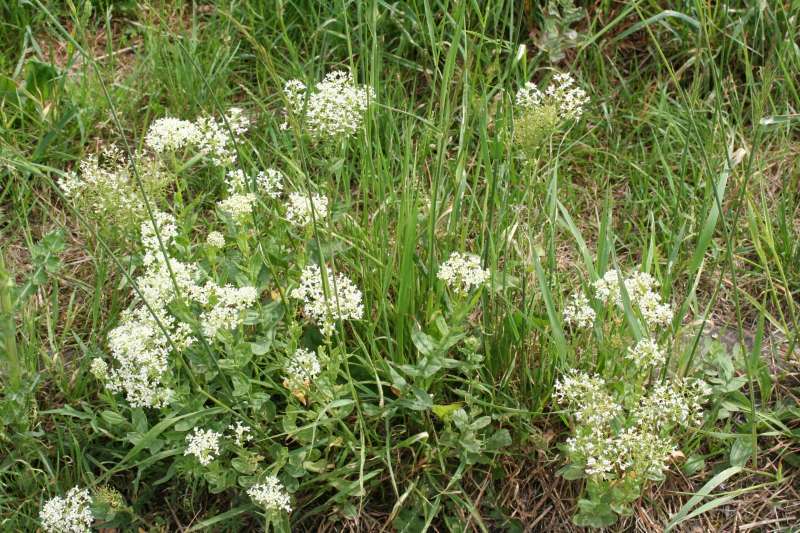 The unopened flower-buds may be cooked as if broccoli-shoots. Cooked, they loose their peppryness and are quite palateable, if nothing extra-special. Seee photos 4 and 5. 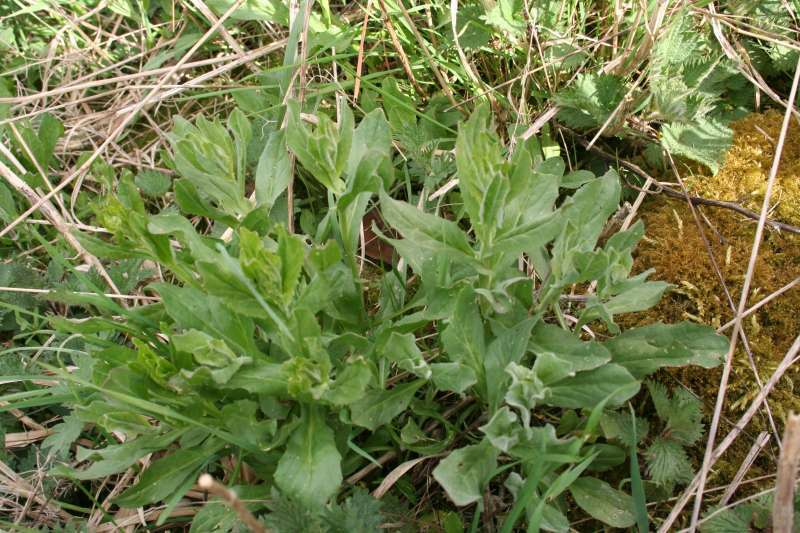 All photos were taken around Burwell where the plant is now very common. Page first published Saturday the 31st of March, 2012.